Make yours Marvel with this great travel cup! 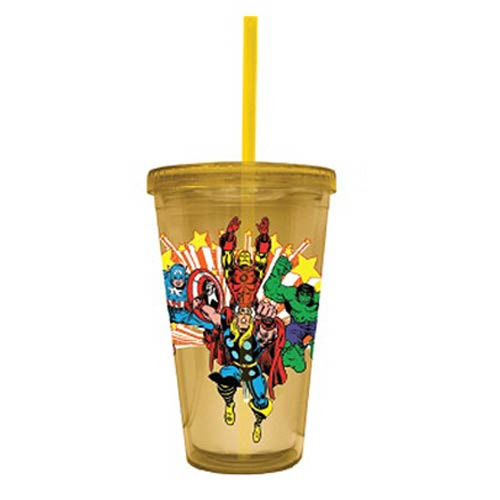 This Marvel Classic Superheroes Acrylic Travel Cup features some of your favorite Marvel superheroes in their classic looks. It's got an image of Thor, Captain America, Iron Man, and the Hulk! Travel cup holds up to 16 ounces of liquid. Hand wash only. Not dishwasher safe. Do not microwave.